Open Beta servers for third-person action shooter Hazard Ops are now open. From now on, every mercenary that enlists will be granted instant access to all areas of the game. 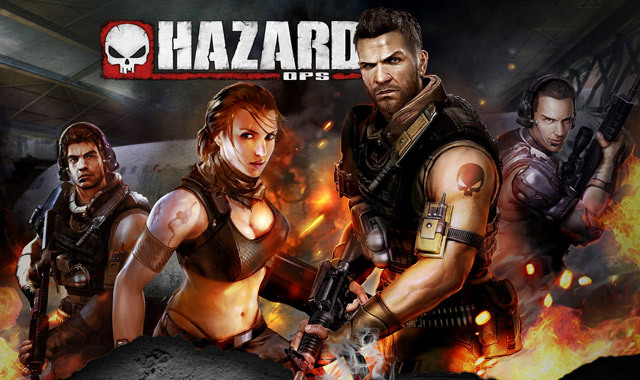 In closed beta, Hazard Ops offered a multitude of co-op and versus game modes, allowing mercenaries to take on challenging bosses and epic monsters in a number of varied locales. Now open beta brings even more to the party, including the brand new co-op map “Skull Island”. This once peaceful settlement has been completely overrun by mutant soldiers. Whether fighting on land or sea, taking advantage of the terrain will be the key to survival under heavy enemy fire. The competitive portion Hazard Ops also provides new content in the form of an all-new game mode. In the “King of the Hill” versus mode, teams of mercenaries will fight for the control of strategic locations. Striking the right balance between attack and defense, plus taking up the right tactical positions on the map, will be key to emerging victorious in this action-packed mode.